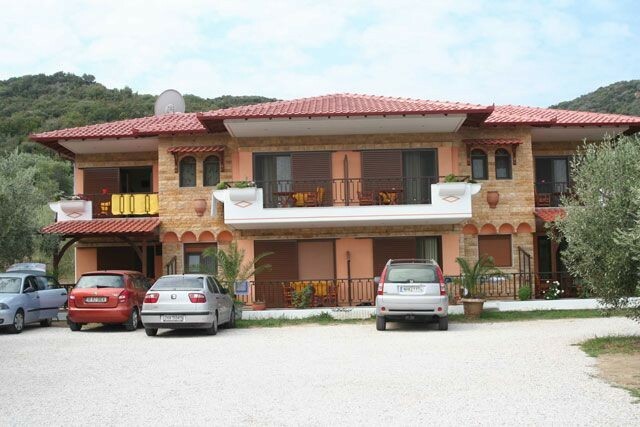 Studios - Alexandros are 1 kilometer away from the center of Sarti and 350 meters from the beach. It is a family business that started operating in 2002. The complex consists of two buildings of 8 rooms each. 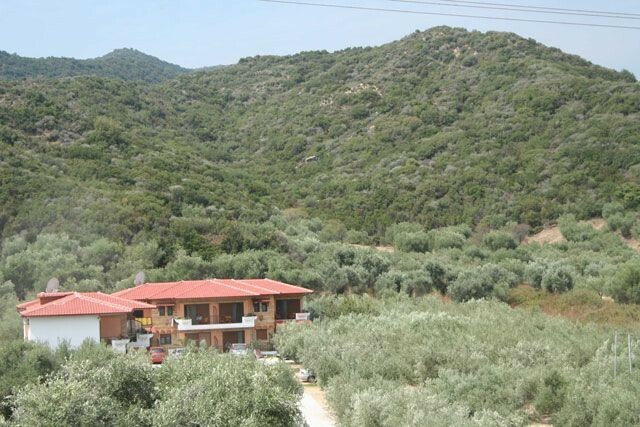 It is built in a green piece of land full of olive trees and the view will convince you that here nature rules. 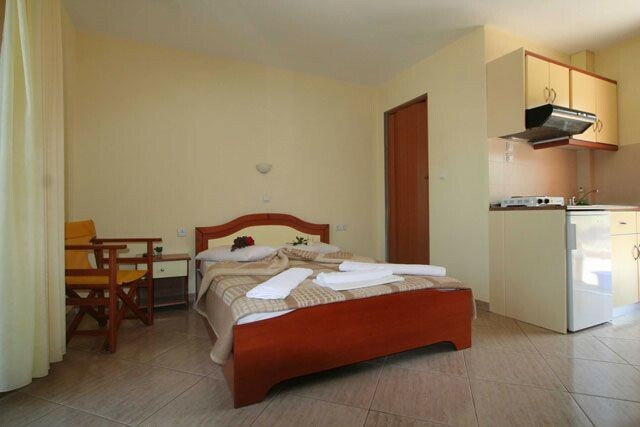 Studios - Alexandros constitute an ideal destination for those who desire rest and relaxation. 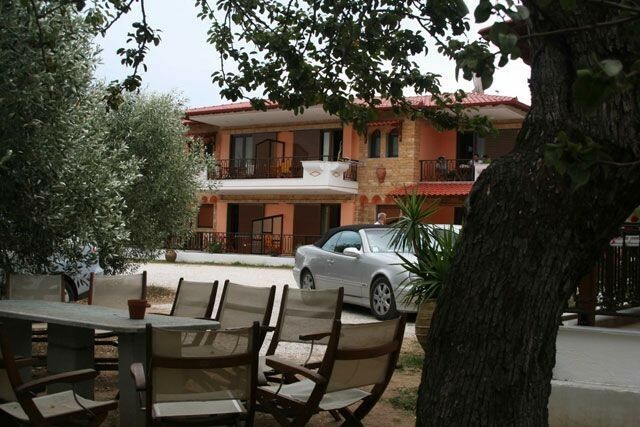 The Studios - Alexandros are composed by two buildings, each consisting of 8 rooms. 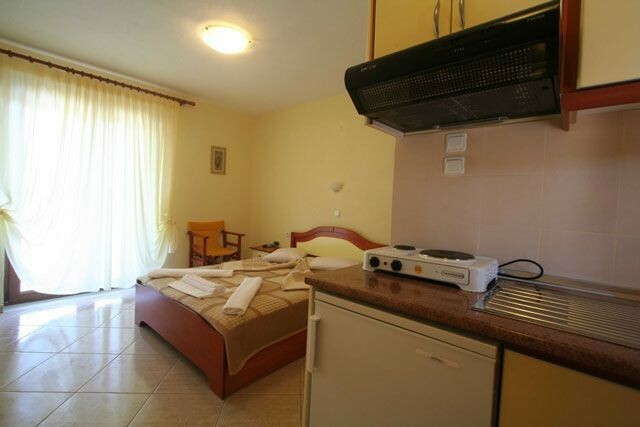 There are 4 double rooms, 4 triple rooms and 8 rooms with four beds. 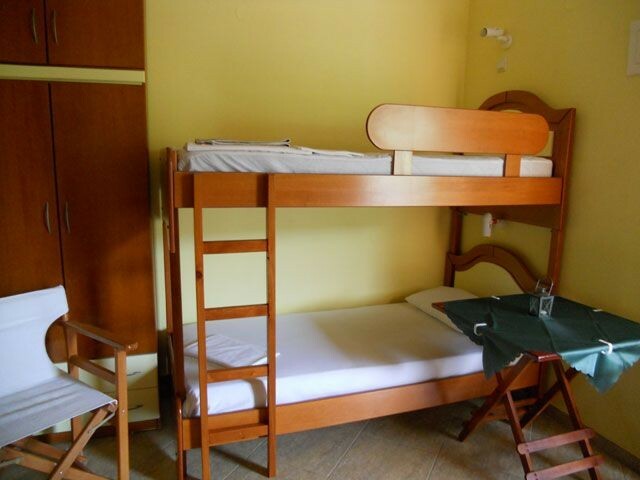 The studios with the four beds have got a double bed and a bunk bed in the same space. 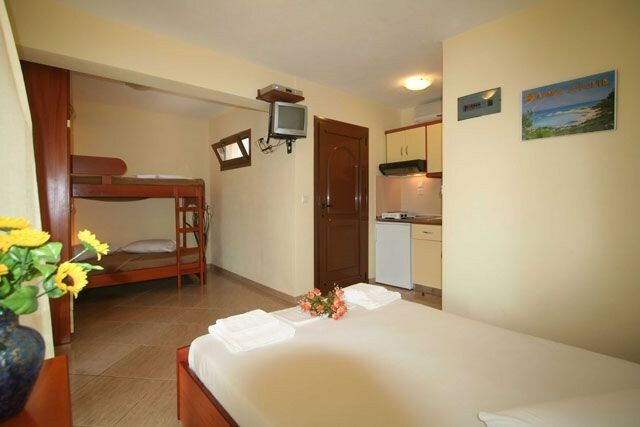 The studios are fully equipped and specially built to offer the customer a relaxed and comfortable stay. 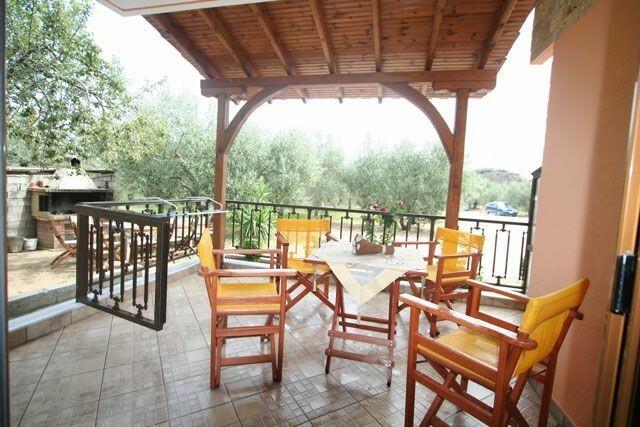 -Air conditioning , Satellite TV , Fully equipped kitchen , Private balcony , Private bathroom.